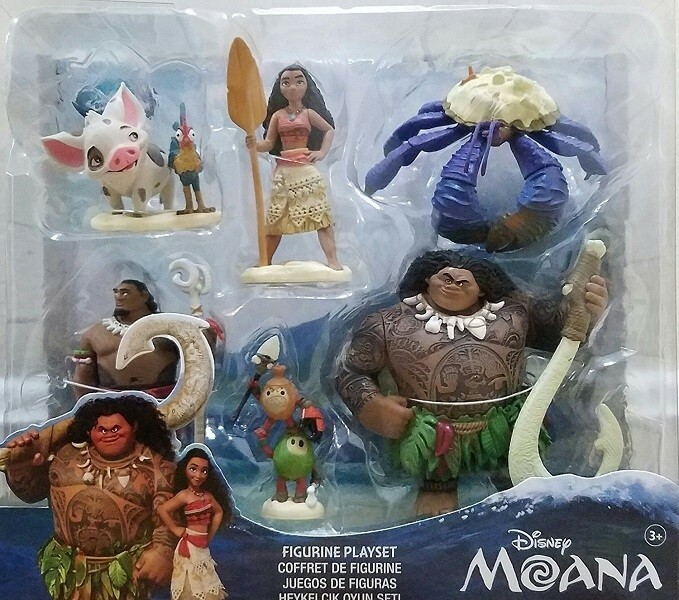 Your child can sail across the seas alongside Moana with Disney's fun Moana figure set. 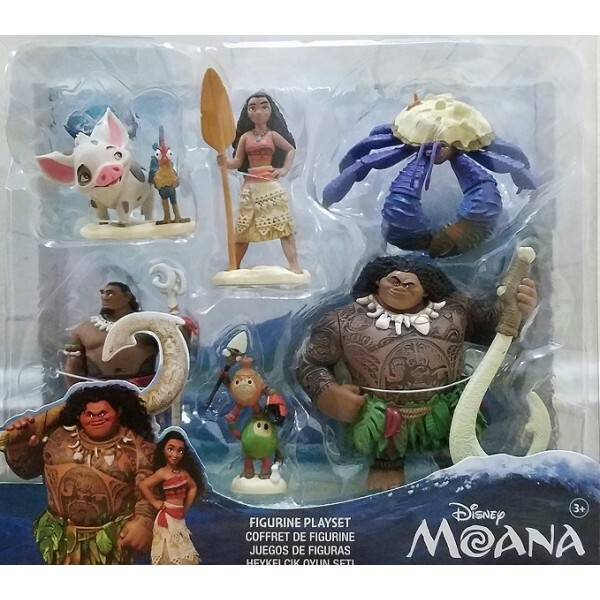 This set includes 6 figures: Moana, Pua and Hei Hei, Maui, Tamatoa, Tui, and the Kakamora. With plenty of detail, these figures are sure to be a hit with fans of the film. For more products featuring this hit Disney character, visit our Moana Collection.